Margaret has over 30 years of experience with a background in commercial real estate which gives her an invaluable understanding of the financial aspects of buying, selling and investment properties. 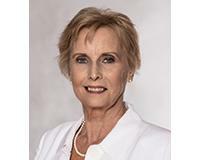 Margaret has provided excellent service to buyers and sellers throughout Morris, Somerset and Hunterdon Counties. She has proven to be dedicated to her clients by providing knowledge of the market and neighborhoods, experience and ethical service to complete each transaction. Margaret is a long-time Mendham resident where she raised her two sons who graduated from the local schools and both operate their own businesses in the area. Margaret moved to New Jersey from Toronto, Canada and is a graduate of Toronto Teachers' College.